Week of antics, let’s fight back. Tonight at 7pm, we go head to head with Akwa United as action returns for us on the League front. The game initially was to be for 4pm but we were gonna botch it seeing we just returned home from Sousse Saturday morning. But the LMC Chairman insisted that rather that happening, they would fly us straight to Uyo and we’d play three hours later. Much has been said of our away travails and the respective challenges we are beguiled on our travels. Those excuses as people call it is not good enough as reasons why we should lose games but honestly guys we can’t totally ignore them. Reports from Uyo reveal that the team wouldn’t train under the floodlights yesterday evening for whatever lame reason the hosts had to offer. In fact, I can’t publish some things that emanated from that episode because it sounds shameful and really pathetic. You’d believe that some folks are just insistent that the league remains in the medievals. Shame really. Having said that though, it should not be yet another excuse. The game tonight is on TV and all of us will watch it unfold. In other words, the only way we lose yet again is if we press the self-destruct button ourselves. We just have to show some fight. We just have to offer our own response to the criticism on the pitch. That’s basically what we owe ourselves. I think that when we can get a first good result away from home, it will be the start of many others. It has become some physiological battle at the moment. So if we get the first, the team will believe that they actually can. It’s sad because I felt we could have turned the corner in Enugu when we faced Rangers but for some careless officiating and horrible tactics, it didn’t happen. Here we’ve got another chance to. Four players have been called up to join the Sousse contingent. Osadiaye, Kamal, Leonard and Ifeanyi George. Will all four start? Should all four start? I’d be glad to have them all start. That wish however will be influenced by what Mr Aigbogun thinks is best tonight. He tried to mix it up a bit when he played Sunshine Stars ten days ago, lining up three midfielders and leaving Pyagbara up top. Let’s see his thinking tonight. Anaemena of course is suspended. I’ve been poor with my line-up predictions but I’ll still have a go. Femi, George, Uwadiegwu, Ojo, Anyanwu, Udoji, Osadiaye, Abalogu, Kamal, Nzube, Pyagbara. Don’t know, won’t know what the gaffer will be thinking and although he’s got way too many players to choose from, fatigue and level of ‘knackeredness’ will surely influence stuff. I left Mfon Udoh out, yes I did. You got a problem with that? All in all, let’s take care of ourselves tonight and fetch something good for our League position and for our fans. Moreover we have a title to defend, so let’s go do it. Previous postBack home to League duties. 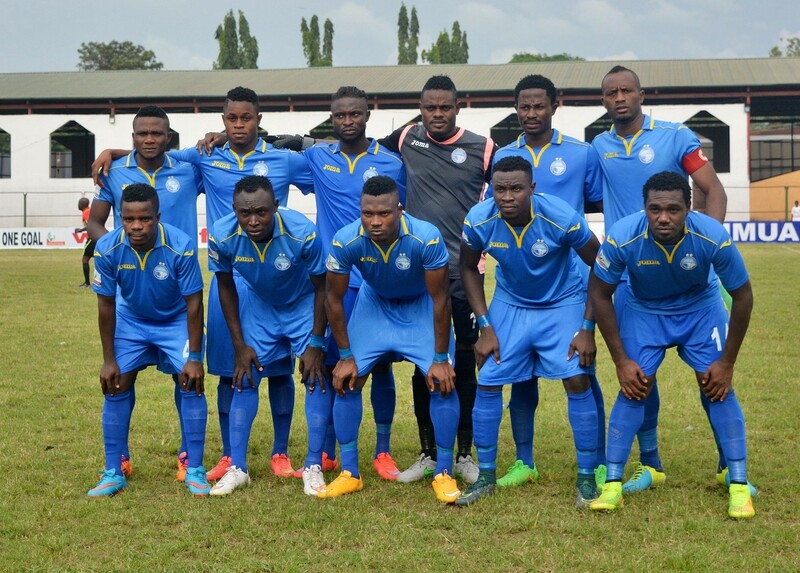 Next postAkwa United 0-1 Enyimba. We get our first away points.